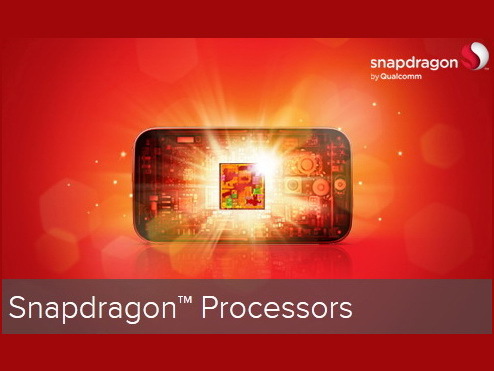 The Qualcomm MSM8960T (Snapdragon S4 Pro) is a fast ARM SoC, which is mainly used in smartphones. It integrates a Krait-based dual-core processor and an Adreno 320 graphics card. Furthermore it features an integrated LPDDR2 memory controller (dual channel, max. 500 MHz) as well as various radio standards including LTE. The chip is fabricated at TSMC in a 28nm LP process. Unlike older Qualcomm SoCs, which are still based on slower Scorpion cores, the MSM8960T uses the modern Krait architecture. The Krait design is significantly faster than the Cortex-A5, Cortex-A7 and Cortex-A9 architecture from ARM and just behind the high-end Cortex-A15. The two cores are clocked at 1.7 GHz and offer a performance, which is even above some older quad-cores like Nvidia's Tegra 3 or the Samsung Exynos 4412. The Adreno 320 graphics card is the same as found in the Snapdragon 600 and one of the fastest mobile GPUs in mid-2013. The GPU is clocked at 400 MHz and offers enough performance for demanding games and high resolution screens. Since the MSM8960T only has two CPU cores, the power consumption should be somewhat below quad-cores like the Snapdragon 600. The chip can therefore be used in compact smartphones with a smaller battery. The Qualcomm MSM8960 (Snapdragon S4 series) is a ARM based high-end smartphone SoC in 2012. It contains two Krait (ARMv7) CPU cores at 1.5 - 1.7 GHz, a Adreno 225 GPU (400 MHz), a LPDDR2 memory controller (up to 500 MHz) and radio elements including LTE. The chip is produced in 28nm LP (low power process) at TSMC. The Krait cores offer a slightly better performance as the standard Cortex-A9 cores and are compatible to the NEON SIMD extensions. 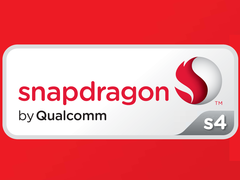 The Qualcomm Snapdragon 400 MSM8928 is an entry-level ARM-SoC for Android smartphones and tablets. It offers four Cortex-A7 cores clocked at up to 1.6 GHz (Quad-Core) as well as an Adreno 305 graphics card. Furthermore, a HSPA+/LTE radio is integrated in the SoC, which is manufactured in a 28-nanometer LP process.